Environmental Qualification Laboratory (EQL) of FCRI caters to the multi various requirements of acoustical characteristics and vibration testing of equipments / components for various industrial establishments. Major facility at FCRI in this area includes a Hemi Anechoic Chamber and a vibration test facility. Environmental Qualification laboratory also had established NABL accredited facilities for performing calibration of acoustic & vibration parameters. The vibration test facility of FCRI consists of two Shaker systems for testing all kinds of equipments for their structural integrity and performance evaluation during vibratory conditions. The vibration test facility can be used for proof test on the mechanical qualification and workmanship of the design, manufacturing and integration activities of equipment. Simulating the mechanical loads during transport and actual usage is made possible. 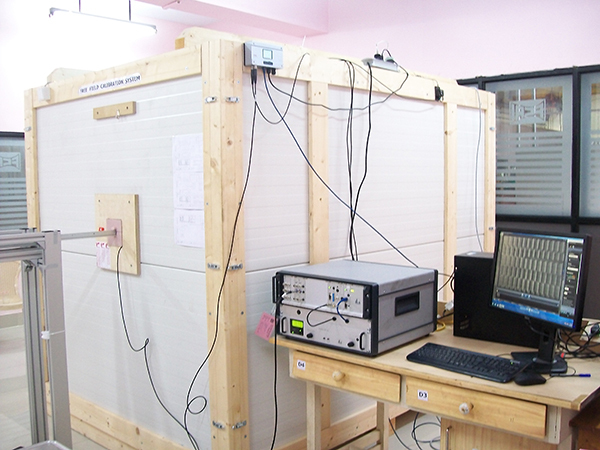 This test facility can simulate Sine, Random and shock test protocols. 3) Resonance search for determination of natural frequency and mode shape. 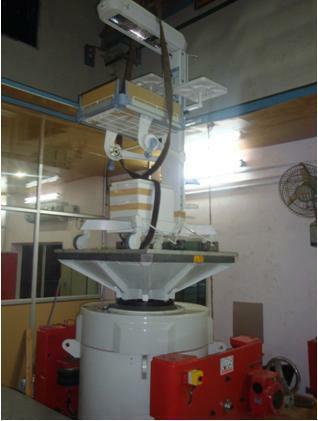 FCRI has two such vibration test facilities with different force rating and static payload capacity. 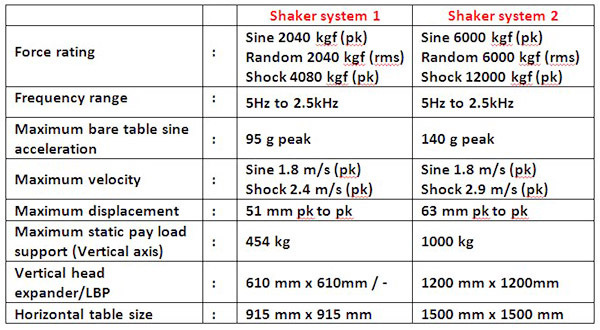 The technical specification of the shaker system is indicated below. 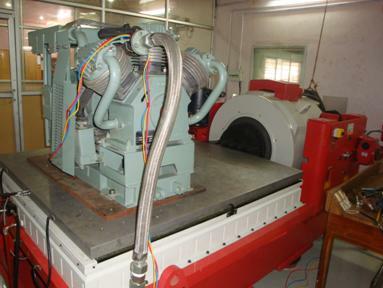 g) Vibration testing as per various MIL / IEC and other National / International standards. 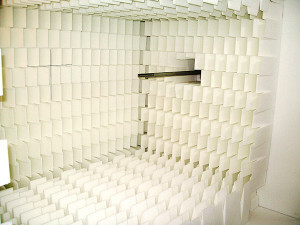 The acoustic test facility of FCRI consists of a Hemi Anechoic Chamber. This is a specially built acoustic free field environment over a reflecting plane satisfying the requirements of ISO 3745. Twenty bar regulated air supply is also available adjacent to this chamber for facilitating study of aerodynamic noise characteristic of flow devices and other aero acoustic studies. The chamber performance was evaluated to check for the conformance of the test room requirement criteria as specified in the standard ISO3745 by conducting sound pressure decrease test and also by sound power method. The expected standard deviation of reproducibility in determining sound power level of sources by using this facility is ±1dB. 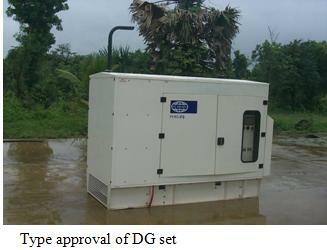 c) For conducting Type Approval of DG sets as per CPCB requirements. The expected standard deviation of reproducibility in determining sound power levels of source by using this facility is less than ±1.5dB. Type approval of DG set conducted for compliance with central pollution control board norms following the procedure ISO 8528 -10. 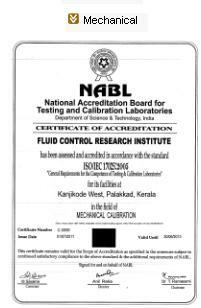 The calibration facility of the Noise and Vibration laboratory is accredited by the National Accreditation Board for testing Laboratories in India (NABL). Various instruments used for calibration purpose is traceable to National / International levels. In national levels it is traceable to National Physical Laboratory, New Delhi. 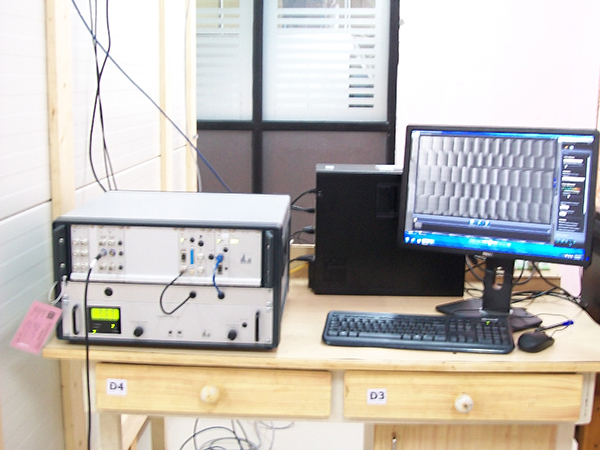 The Noise and vibration laboratory of FCRI have calibration facility for parameters -acoustic pressure, vibration and speed. Accredited scope of calibration is indicated below. FCRI can undertake back to back calibration of accelerometers as per ISO 16063 Part 21. 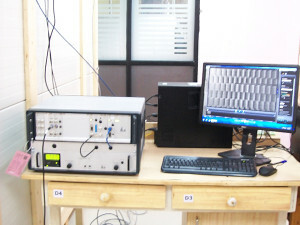 FCRI is having dedicated calibration system for different types of vibration sensors. The shaker system consists of air bearing shaker, controller and signal conditioner for different types of input. Charge, IEPE, bridge and any voltage output sensor can be calibrated using this system. The report can be generated automatically after completing the calibration. The standard of vibration amplitude is maintained in terms of electrical output of reference accelerometer corresponding to a known value of acceleration. The nominal sensitivity of the reference accelerometer is 100mV/g. The frequency range of calibration is 2 Hz to 15kHz. The reference accelerometer is traceable to the standard accelerometer maintained at NIST,USA. Vibration meters/ analyzers can be calibrated in the range of acceleration amplitude upto 10g, velocity amplitude upto 1000mm/sec and displacement amplitude upto 10 mm. The accelerometer calibration system caters to the calibration of vibration transducers over the frequency range of 2Hz to 15kHz with an maximum uncertainty of 2.3% and an amplitude variation corresponding to 1g to 10g acceleration. The sensitivity calibration at 100Hz & 160 Hz also can be done with the uncertainty of 1.25%. The calibration of the signal conditioners and charge amplifiers used in conjunction with accelerometers are also possible. FCRI can calibrate sound level meters with traceable single point sound level calibrators and also by multipoint calibrator as per standard Procedures/ methods. The single tone frequency and amplitude of the calibrators available at FCRI are 94dB, 114dB at 1000 Hz and 124dB at 250Hz. In multi tone calibrator, available at FCRI, has frequencies in steps of one octave from 31.5Hz to 16kHz and amplitudes of 94dBA, 94dB, 104dB, 114dB. This calibrator also has provision for checking crest factors & Time constant of time weighting networks of sound level meter. The sound level calibrators can be calibrated in comparison with reference single point calibrator and a traceable sound level meter. The calibration can be done for 250Hz and 1000Hz. 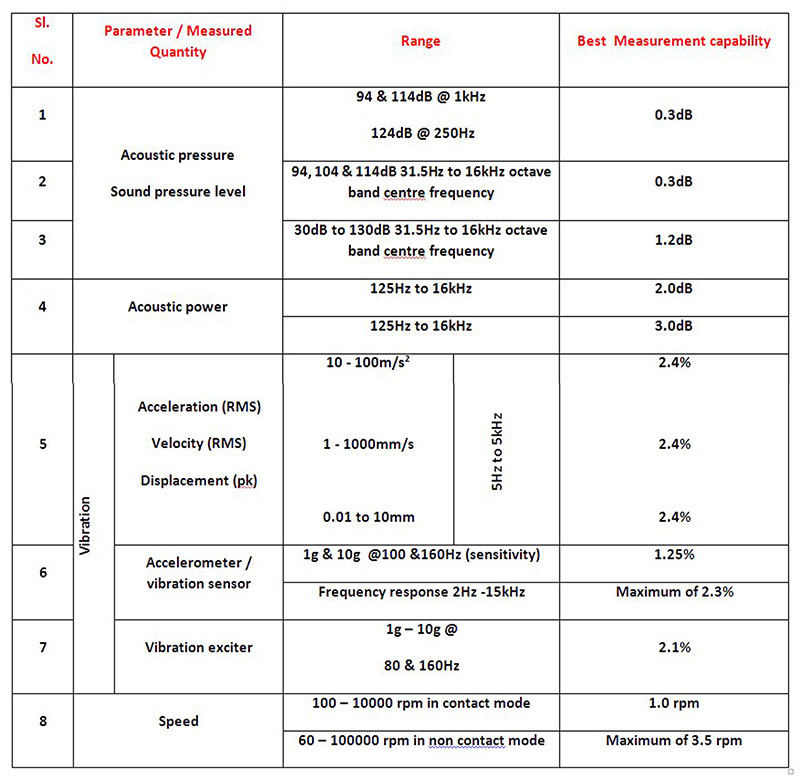 The maximum uncertainty for sound pressure calibration is 1.2 dB. 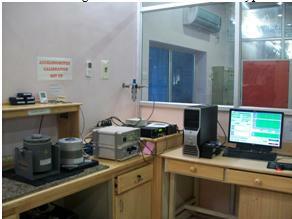 The calibrations are traceable to the standards maintained at National Physical Laboratory at New Delhi. FCRI has a facility for speed calibration. This can be used for calibrating speed indicators, tachometers and stroboscopes. The range of the calibration facility available is 100 rpm to 10000 rpm in contact mode and 60 rpm to 100000 rpm in non contact mode. The calibration will be done by standard comparison method by comparing speed of a drive with the reference tachometer and with a speed indicator to be calibrated for contact mode and for noncontact tachometers using a function generator. The maximum uncertainty of the calibration is 1.7 rpm in contact mode and maximum of 3.5 rpm in non contact mode. Sound pressure level is a measure of the small pressure fluctuations in the air superimposed on the normal atmospheric pressure. Noise levels produced by a machine or a piece of equipment can be easily measured with a sound level meter. The meter shows the sound pressure level at the measurement position. The sound level depends on how far away the meter is from the machine, and on the measuring environment. This sound level is important because it relates to the loudness of the sound and to the potential damaging effect on hearing. Sound power is measured in watts / picowatts, and sound power levels are traditionally given in decibels (dB re 1pW), where 0 dB corresponds to 1 picowatt. FCRI carries out sound power measurements using precision method and engineering method, conforming to International Standards (ISO). 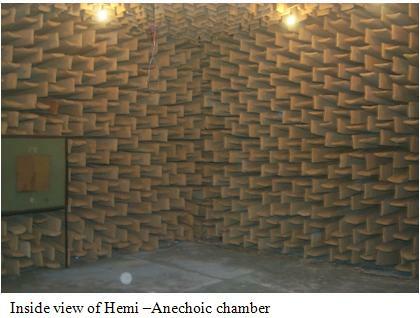 The measurements are made in Hemi – anechoic chamber or outside free-field area over a reflecting plane. Items tested include industrial machinery, DG sets, control valves, electronic and business machines, etc. If directional information is required then the measurements must be made under free-field conditions. 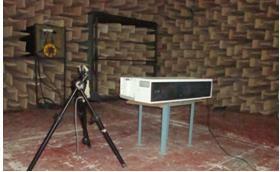 Tests are carried out according to ISO 3745, usually over a reflecting plane (Hemi-anechoic conditions). Twenty one microphone positions are used over an imaginary hemispherical measurement surface. Octave or one-third octave spectra are measured at each microphone position and the Sound Power Level is computed. Measurements made in conformity with this International Standard should result in standard deviations not exceeding those shown in table below. In its simplest form, vibration can be considered to be the oscillation or repetitive motion of an object around an equilibrium position. The equilibrium position is the position the object will attain when the force acting on it is zero. This type of vibration is called “whole body motion”, meaning that all parts of the body are moving together in the same direction at any point in time. The vibratory motion of a whole body can be completely described as a combination of individual motions of six different types. These are translation in the three orthogonal directions x, y, and z, and rotation around the x, y, and z-axes. Any complex motion the body may have can be broken down into a combination of these six motions. Such a body is therefore said to possess six degrees of freedom. If an object were restrained from motion in all directions except one is called a single degree of freedom system. The vibration of an object is always caused by an excitation force. This force may be externally applied to the object, or it may originate inside the object. This is the reason that vibration analysis can determine the excitation forces at work in a machine. These forces are dependent upon the machine condition, and knowledge of their characteristics and interactions allows one to diagnose a machine problem. For vibration analysis FCRI has latest instrumentation with analysis software. Vibration analysis can be done to find out the actual cause for vibration and also have facility for natural frequency, mode shape determination. 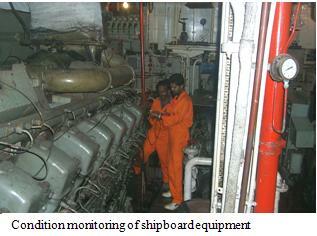 FCRI has expertise & instrumentation for hull vibration measurement & analysis on board ships. It also has facility for cavitation studies and analysis. Condition Monitoring is most frequently used as a Predictive or Condition-Based maintenance technique. However, there are other predictive maintenance techniques that can also be used, including the use of the Human Senses (look, listen, feel, smell etc. 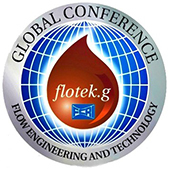 ), machine performance monitoring, and statistical process control techniques. Flow control device is a major source of noise pollution in many fluid processes in gas regulator systems, chemical plants, pulp and paper mills etc,. Due to noise legislations and increasing public reluctance to accept excessive noise generating devices, manufactures are forced to employ better design and use of downstream noise reduction modules such as cartridges etc. Therefore now it is necessary to check for the noise levels and also check for acoustic / hydraulic parameters of the downstream cartridges at the manufacturing stage itself. To cater to the aerodynamic noise studies of the flow control devices, NVL has made a facility in conjunction with the High Pressure Air Test facility as per the standard ISA 75.07/1987. This standard provide a procedure for testing , measuring and reporting the aerodynamic noise generating characteristics of flow control device and its associated piping. The test rig is capable of operating over a range of flow rate with pressure at the device under test ranging from 18bar to near ambient. The compressed air is drawn from storage tanks and upstream pressure is normally maintained up to about 18bar. Compressed air storage of 40m3 at 20bar is available at present. The necessary instrumentation for both acoustic, pressure and flow parameters is also available. As part of the condition monitoring and problem identification of power plant, vibration and strain measurement on power plant units and penstock were done. Vibration measurements were done as per standard ISO 10816 part 5. Measurement was done for the frequency range of 3Hz to 1000Hz by using dedicated vibration analyzer and tri-axial accelerometer. Vibration sensors are located as per standard and compared with the limits specified. Secondary calibration system for measuring microphones, sound level meters and acoustical calibrators, is now available at FCRI. This is a unique system, commercially available in India to carry out free field calibration of noise measuring instruments. CS18FF system from SPEKTRA,Germany employs an anechoic chamber, laboratory standard reference microphones and reference acoustical calibrators traceable to International standards for the calibration. This facility is recently accredited by NABL. Using this system, the following calibrations can be performed.